Question of the Week: February 15th | Are You Being Real? What do you really want, and how do you know that you don’t already have it? 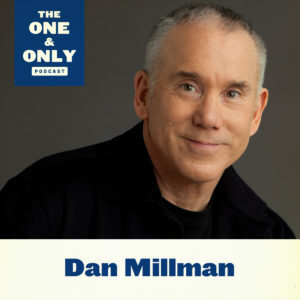 This is the question of the week from legendary best selling author Dan Millman (Way Of The Peaceful Warrior; The Four Purposes Of Life), and this week’s guest on The One & Only Podcast. It’s an opportunity to check in and determine what you want most out of all your desires, and the seemingly limitless options that are present in any moment. It’s also a chance to look deeper and determine whether or not you already have what in which you seek (i.e. happiness, those who love & support you, etc). What does this question evoke in you? Chime in on the conversation below!